﻿Challenge #49 brings awareness to The Red Thread Promise. Cris from Tangled Up In Art is on the quest to help. From the outside in I have used quabog and punzel (which is becoming another favourite), along with the new fife. Both ways of drawing fife are mixed together here for a bit of variety. 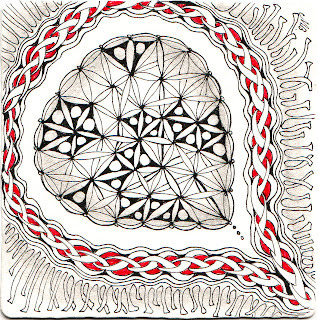 Zentangle beautiful reds and blacks. 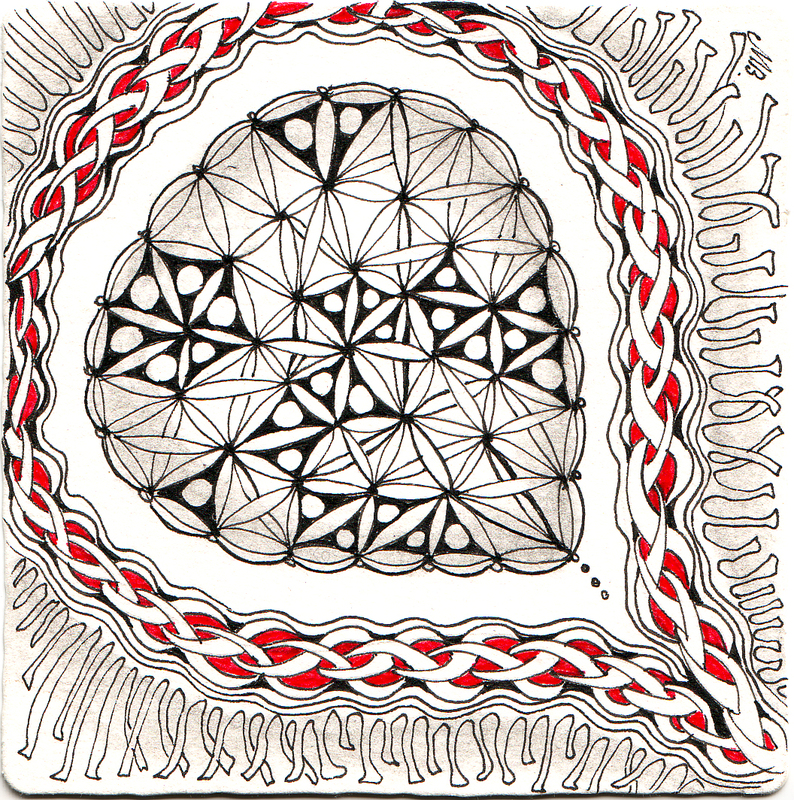 Very little black, noticeable red, and large amount of white makes your tangle stand out. A lovely tile, well done. Not just a thread but a Chord, makes a beautiful statement! Love what you did with fife! Love the red string integrated into the punzel. Beautiful. WOW! This is fabulous! LOVE how you did the punzel, but I really love the tangles in the center! 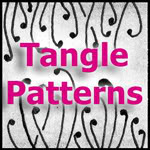 The new tangle looks fabulous with your touch! Very fun way of adding a red promise line! Very lovely! 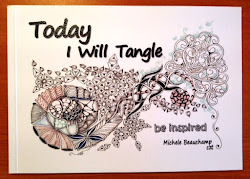 I'm really lovin' the new tangles in your composition. What a wonderful lively tile, sweetly wrapped in Punzel with your great Quabog fringe. Fabu!